How did the SOS Children’s Villages organisation start? It was founded by Hermann Gmeiner in 1949, when he noticed a lot of children had been orphaned, and a lot of women had been widowed, during World War II. Where was the first SOS Children’s Village? Do you take in children with special needs? Again, we care for all children in need. If a special needs child is placed with SOS Children’s Villages, we source the best possible care for them. Some national associations, like SOS Children’s Villages in Morocco, have purpose built facilities, whilst in the case of physically impaired children at a traditional Village, they may go away to a special school during the week, and return ‘home’ at the week-end. Do you take handicapped children? Again, we care for all children in need. If a handicapped child is placed with SOS Children’s Villages, we source the best possible care for them. Some national associations, like SOS Children’s Villages in Morocco, have purpose built facilities, whilst in the case of physically impaired children at a traditional Village, they may go away to a special school during the week, and return ‘home’ at the week-end. How are children admitted to the SOS Children’s Villages/Do you take street children? The situation varies from country to country. For example, orphaned and abandoned children in South Africa are admitted to the Children’s Villages through the Children’s Court process. SOS South Africa notifies the Department of Social Development when they have vacancies – but it is the Children’s Court that determines which organisation will best meet the needs of the child. Do the children have to leave at 18? No, we do not have a cut-off age. Our children have had a bad start in life, through no fault of their own, so it may take them longer to get through the educational system. We value education, and so will ensure that children progress as far as they possibly can in this area. The children and youth stay with us until they can lead independent lives – which may be as late as 25 years of age. Only severely handicapped children, who are not capable of reaching a point of self-reliance, can remain with SOS Children’s Villages beyond this stage. Many of our youth remain in touch with their SOS family – either because a younger biological sibling is still there, or simply because this is the only home they have known. Why are the SOS Villages built and equipped to such a high standard? All of our facilities meet the minimum requirements that are stipulated in the UN Convention on the Rights of the Child. However, we believe in offering the children in our care every opportunity to reach their full potential. This ranges from the accommodation they are provided with, to the quality of their education. If they need extra lessons, or additional coaching in order to excel – we will access this. Some of our children have represented their country as a result! What is an SMI Village? SMI stands for solid, modest and integrated. We are building our Villages more modestly, but still using a solid form of construction, in order to reach more children in need. They will also be more integrated into the community where they are located. This is in response to concerns that have sometime been aired about our children not being fully integrated into the community that they grow up in. We feel that the children are integrated, but as a further step to ensure this, the SOS houses will have their own fence - rather than having a perimeter fence around the SMI Village. From a practical point of view, the houses are constructed in the same style as those in the surrounding community – ensuring there is no differentiation, and further integration. Does the government help you? This varies from country to country. In South Africa, for example, we receive a subsidy – either per capita, or per facility. However, in order to receive this SOS Children’s Villages, have to produce a Service Plan on an annual basis, and we have to be able to show the individual development plans that we prepare for each child in our care. Do you get any financial assistance from SOS Kinderdorf? Each national association is expected to raise funds within the country of operation, wherever possible. However, for countries that are not able to cover their full operating costs, funding is provided through SOS Kinderdorf International. It is also SOS Kinderdorf that finances the building of new Villages and facilities, following a full needs analysis. How can an SOS Mother be expected to look after children when they have generally never been natural mothers? All of our SOS Mothers have four months residential training before they are put in a position where they are looking after children. They will then be placed at a Village as an Assistant Mother or Aunt. They usually only get full responsibility for an SOS family after 2-3 years on the job; supplementary training, and a complete evaluation of their capabilities. Why do you only have an SOS Mother looking after the children, rather than a man and a lady acting as parents? If we employed a couple, there would be a stronger likelihood that there would be natural children that would need to be accommodated. This situation would add to the costs of SOS Children’s Villages, and leave less room for children in need. There would also be the possibility that the SOS Mother would preference her biological children. Sadly it is also a proven fact that men are more likely to sexually abuse children. We therefore feel it is prudent to find one caregiver who is ideally suited to the role. It is also worth noting that our model has been in existence for over fifty years, and results show that our children have not been disadvantaged by being raised by only one parent. Where is the male role model in the lives of the children? There are many male employees at an SOS Children’s Villages. They include the Village Director, Child & Youth Development Coordinator, the Boys Youth Leader, a Fundraiser (in the case of three of the Villages in South Africa), the Handyman and the Driver. They are able to act as role models, and assist in the holistic development of the child. Do any of your children have AIDS? We do not, and are not allowed to, test children before they are accepted by SOS Children’s Villages. Once we are their legal guardians, we will only test a child if we notice that they are displaying symptoms – and this would only be done in order to get them access to the correct treatment. Our Mothers are trained to deal with each child as if they might have AIDS (wearing gloves if they have to treat a wound, for example), so that there would be no noticeable difference if the child were to receive a positive diagnosis. What are you doing about the HIV/AIDS crisis? 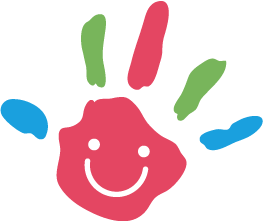 We have recently added a new area of work – aimed at supporting children within their community of origin – and therefore preventing them from being abandoned. We operate a range of Family Strengthening Programmes (FSP) – based on the principle of family development planning. Our FSP Coordinators sit with the families or households and identify the needs of the beneficiaries, in order to get them to a point of self-reliance. Can I visit an SOS Children's Village? SOS does accommodate visitors to their Villages. In order to minimize the disruption of Village routine and schooling/sporting activities however, prior arrangements need to be made with the Village you wish to visit. How do SOS Children's Villages differ from other child-care institutions? Most other child-care institutions aim to have the child fostered or adopted as soon as possible, mainly within one to two years of the child entering the institution. SOS Children's Villages provides professional foster care on a long-term basis, until the children reach adulthood and are independent enough to begin their own careers and families. Contact between the SOS Mother and her children who have left the Village is strongly encouraged. SOS Mothers often assume the role of grandmothers to the children. Can members of the public adopt/foster a SOS child? No. SOS offers permanent care to the child that has already been through and let down by the "Child and Youth Care System". Therefore, any requests for adoptions are transferred to the Child Welfare Agencies or the State Social Welfare Department. How can I help an SOS child? Children need friends. Friends to share the responsibility for their well-being now and in the future. Rather than leaving destitute children to their own devices and a life of hopelessness and poverty, your contribution will make it possible for us to train and educate these children in caring family environments. You can assist us to teach them to help themselves. There are many ways of furthering the aims of the local SOS Association. For instance: •	Monthly contributions as a friend of SOS •	Sponsorship of a specific project •	Donations, large or small •	Bequests, legacies All friends of SOS receive regular information on all progress made.